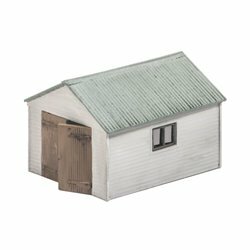 Timber style garage to store a single car. 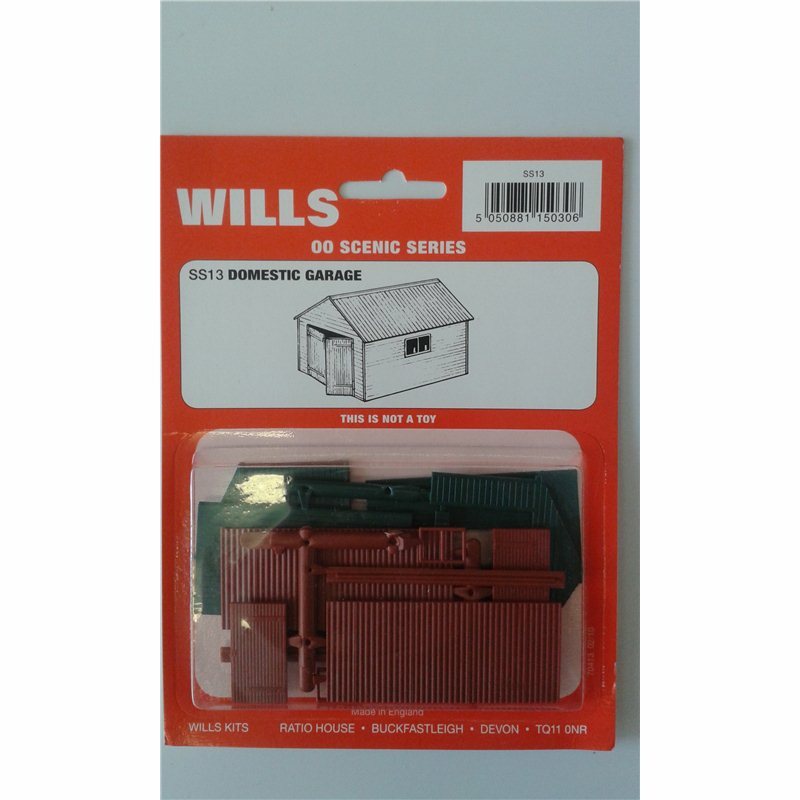 Supplied with pre-coloured parts although painting and/or weathering can add realism; glue is required to complete this model. Footprint: 68mm x 56mm.